A graduate of the Middle East Technical University’s Electrical and Electronical Engineer Department, Melih Murat Ertem started his career as Software Specialist at Information Technologies Department of Türkiye İş Bankası in 1996. After becoming Vice Manager at Information Technologies Department in 2005, Ertem was appointed as Unit Manager at Information Technologies Product and Service Delivery Department in 2008. He was appointed as IT Product and Service Delivery Department Manager in 2010, and as İş Yatırım (IS Investment) Securities Deputy General Manager in 2012. He was appointed as General Manager at Softtech on 1 November 2016. Melih Murat Ertem completed e-MBA post-graduate program of Bilgi University in 2014, and Harvard Business School General Management Program in 2016. A graduate of Bosporus University’s Mechanical Engineering Department, Darço Akkaranfil completed his master’s degree in Istanbul Technical University’s Informatics Institute. He started his career at Gantek Teknoloji in 1997 and then worked at Dataserv, Mazdata and Veripark companies respectively. Akkaranfil became Application Architect at Yapı Kredi Bankası between 2002 and 2006, before assuming Architecture Consultant at Softtech in December 2006. He became Application Development Manager in 2009, and Application Development Director in 2012. 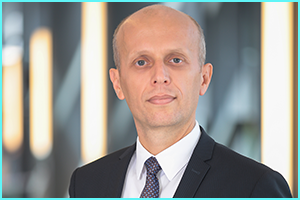 Darço Akkaranfil has been working as SofTech Deputy General Manager since March 2016. 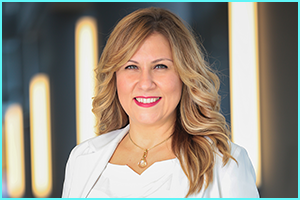 A graduate of the Middle East Technical University’s Industrial Engineering Department, Elif Zıhlı İmal started her career as Prospect Manager at Bank Ekspres in 1997. She joined Garanti Bank in 2000. During her work as Alternative Distribution Channels Manager at Garanti Bank, she implemented the projects relevant to the Bank’s Internet Branch, ATM, Call Center. İmal passed to Garanti Teknoloji, a Garanti group company, in 2009 and worked as Department Manager in charge of Investment, Treasury and Infrastructure Software Projects. She was transferred to Intertech, Denizbank’s IT company, in 2011 as Deputy General Manager in charge of Core Banking, CRM, Insurance and Infrastructural Software projects. In 2017, she joined Softtech family as Deputy General Manager in charge of Cards, Merchants, Payments and Digital Cooperation Applications. Elif Zıhlı İmal has completed her post-graduate study in economy, and presently continues her doctorate study in engineering. A graduate of the Middle East Technical University’s Civil Engineering Department, Ferit Gökbel started his career as Software Specialist at Türkiye İş Bankası Information Technologies Department in 1992. He assumed the post of Deputy Manager at the Software Development Department in 2004. He was appointed at IT Project Management Department in 2008, and he became Department Manager in 2009. Gökbel was appointed as Payment Applications Director at Softtech in July 2011. He has been working as Deputy General Manager since 1 May 2015. A graduate of Middle East Technical University, Department of Management, Muzaffer Özmen started his work life as an Assistant Inspector at the Türkiye İş Bankası – Board of Inspectors in 1999. He became Assistant Manager at the Budgeting and Planning Department at the Head Office in 2008. Then he worked for the Managerial Reporting and Internal Accounting Division as assistant manager and unit manager between 2009 and 2016. 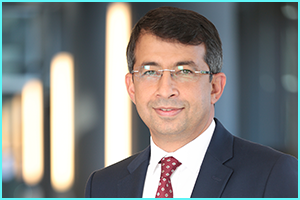 Özmen was appointed as Deputy Chairman at Türkiye İş Bankası – Board of Inspectors in 2016 and worked in that position until his appointment to Softtech A.Ş. as Deputy General Manager. A graduate of ODTU Psychology (Major) and Education Sciences (Minor), Seniha Koçyiğit completed her master’s degree in Marmara University Business Administration Department in the field of Strategic Human Resources Management. She began her career as a ‘Management Trainee in the banking sector in the field of human resources. After participating in Garanti Technology, Koçyiğit stepped in Metglobal Group. There she worked as a Deputy General Manager responsible for both Human Resources and Strategic Planning and Operations, and finally she became a Board Member. 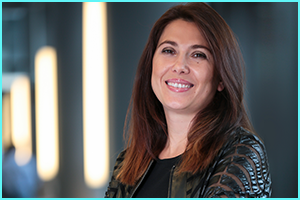 In 2012 Koçyiğit started her coaching career and in the same year she completed her education in EGCP (EurAsian Gestalt Coaching Program), a coaching school acredited by ICF (International Coaching Federation). 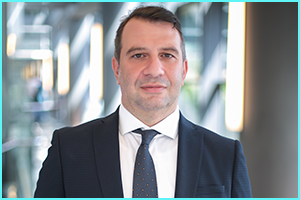 Becoming a professional coach, Koçyiğit joined the Softtech family as a Corporate Advisor in 2018. A graduate of the Middle East Technical University’s Electrical and Electronic Engineering Department, Ümit Bilik received master’s degree from the Management Department of Gazi University. He started his career Software Specialist at Türkiye İş Bankası Software Development Management. He became Deputy Manager of the department in 2003 and he was appointed to IT Project Management Department in 2008 before becoming the Unit Manager of this department in 2009. After working at the Project and Change Management Chairmanship in 2010, he was appointed as Financial Management Applications Director at Softtech in August 2011. 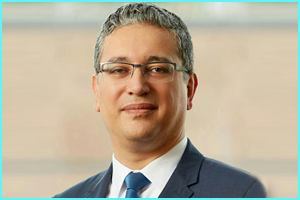 Ümit Bilik was a board member at İş Portföy Yönetimi (Is Portfolio Management) between October 2015 and April 2017, and he has been working as the Deputy General Manager at Softtech since 1 February 2013.